Personally, I have never been one to recognize that internal soft vibrant voice that is a part of me. Practical and pragmatic has been my walk through this life. As I walked into the Tree’s presence and stepped beneath the limbs, the spirit of the tree began its pull on me. A cyclical experience continues through time. Leaves gather sunlight to release oxygen, as does the human heart beat to preserve life. Life exists to serve and to be present. I want to be heard, tell my story; the tree and I are one. Laura was a woman of strength, touching lives in a way that matched her own life. She did not just exist, she lived. As she expanded horizons, questioned authority, she experienced life and imparted a knowledge to both herself and those she met. However, she wanted to be at peace, to know her-self, share life and protect that which could not protect itself. The Indians walked softly, leaving little trace of their presence. Yet, one can embrace what and who they were. The impression of one soul joined with many imparts an unequivocal presence. Laura Jepsen’s Tree lives, was loved, is love, gives love and lives within each of us. The life of Dr. Laura Pauline Jepsen began in Iowa, born to parents with both strong work, and educational ethics. Her roots were transplanted from rich farming Iowan soil to the sandy soil in Tallahassee, Florida, to the place that nurtured her “Tree”. A generation before, her grandparents traveled across the ocean to claim a life that would be different from their homeland; Germany, a country ridden with strife. Their ship sailed to bring them to a New World and to create a home for their family. Laura must have sought a similar change as she boarded a train in the 40’s to bring a solitaire woman into Florida, claiming her Tree and a passage way to a new life. She herself was to become a passageway for generations of students, friends and many others to become transformed by her vision. A glimpse of her vision leads to worlds known and unknown, real and imaginary, stepping back in time and a way to alter the future. Laura’s father John William Jepsen was born to the family of Hans Jepsen and Christina Nagel. His early death in 1938 may have been the primary force that jettisoned Laura headlong towards the south that was to become her home and to change her forever from a young lady of Cupid and Love to a woman who delved deep into a Shakespearean world of tragedy. What do we know of Laura's early life, her ancestry? "…August 1, 1847, sixty emigrants from the old fatherland followed, among whom were two who became especially well known and popular-Matthias J. Rohlfs and Nicholas J. Rusch. In December of the same year twenty-four German immigrants landed at New Orleans whose destination was Davenport, but who could not reach this place until the following spring, for it was not until that time that the Mississippi was free of ice. Early in the year 1848 Davenport received an additional company of German immigrants numbering about 250, most of these coming from Schleswig-Holstein, where political conditions were intolerable. This stream of immigration continued, as those who had reached this land induced their friends and relatives to come. When finally the struggle of Schleswig-Holstein against Danish despotism had reached an unfortunate conclusion a larger immigration began in the years from 1851 to 1853. The German immigration was swelled by those coming from other German provinces, due to the reaction following the times of revolution in the fatherland. Until the beginning of the '80s of the last century a large stream of German immigration poured into this vicinity, which gradually became weaker, and although today comparatively few in the old fatherland think of emigrating it has never entirely ceased." John William Jepsen, (Laura's father), was born in Davenport, Iowa September 14, 1875. He and his family moved from Davenport, Iowa to a farm in Clay County, Iowa near the town of Everly in 1889. After finishing eight grades at a country school, he returned to stay with his uncle J.J. Nagel in Davenport, Iowa where he completed two years at Duncan Business College. Then he worked at Cure & Staples Hardware store in Spencer, Iowa. In 1902 he went to Van Horne, Iowa where he worked at Henry Nagel's Hardware store. He bought his own hardware store in Moneta, Iowa in early December 1902 and remained there until March 1919 when he, his wife and four children moved to Davenport, Iowa. In 1923 he bought his hardware store at 1615 Washing Street in Davenport, Iowa and operated that store until his death on May 11, 1938. Among the prosperous business men of Moneta, O'Brien county, Iowa, is John W. Jepsen, a hardware merchant and the present postmaster of the town. His whole life has been spent in business and with a success which is commensurate with his efforts. He was born in 1875 and in Davenport, Iowa and is the son of Hans and Christina (Nagel) Jepsen. John W. Jepsen received a good common school education and helped his father on the farm until he was twenty-six years of age. He then became interested in the hardware business at Spencer, Iowa, where he learned the intricacies of the business by serving as a clerk for one year. In 1902 he came to Moneta, in O'Brien county where he and his brother, Harry purchased the hardware stock of E.E. Dodge & Company and they have been in charge of this store for the past twelve years. They have built up a large lucrative trade in Moneta and the surrounding country. The brothers carry three thousand dollars’ worth of stock the year round. In addition to their hardware interests, they share in the Farmers Elevator Company of Moneta. Mr. Jepsen is also manager of the telephone company at Moneta and is a stockholder in the company. He owns five acres of lots in additions to his handsome residence. Mr. Jepsen was married in 1903 to Marguerite E. Unangst at Spencer, Iowa, and to this union was born four children, who are still with their parents, Lulu, Laura, John and Jacob. Politically, Mr. Jepsen is a Democrat, but his business interests have kept him from taking an active interest in politics. He and his family are earnest members of the German Luthern church and subscribe liberally to its support. Mr. Jepsen is a self-made man and owes his present success to the fact that he has been diligent in his various undertakings. As a graduate of the Davenport Business College he was able to do administrative work in any line and consequently makes an efficient manager of the telephone company. He has a large number of friends and acquaintances in Moneta and the surrounding country who admire him for his many good qualities. Born June 3, 1875 in Bethlehem, Pennsylvania her christening was by Reverend F.W. Weiskotten. In April 1887, at Maggie’s age of 12, her father moved to a farm in Clay County, Iowa near the town of Everly. In 1896, at the age of 21, Laura's mother Maggie attended Cedar Rapids Business College (CRBC). After that college was destroyed by a fire, she went to Lincoln Normal in Lincoln, Nebraska to finish her courses. Her brother Benjamin Unangst was living in Nebraska where he taught school and homesteaded 160 acres of land near Minot. Maggie married John William Jepsen on August, 16, 1905 in Spencer, Iowa. In 1940, Maggie was living with her daughter Lulu and son-in-law Paul Kummerfeldt. She died October 17, 1955 at the age of 80 years 4 months and 14 days. John William Jepsen died on May 11, 1938 at the age of 62 years, 7 months and 27 days. Both John W. and Margaret E. Jepsen are entombed in Oakdale Mausoleum in Oakdale cemetery in Davenport, Iowa. Laura's Grandfather Hans Jepsen was born in Germany in 1843 and followed the occupation of a gardener in his native land. In 1866 he came across the ocean and settled in Davenport, Iowa, where he followed gardening for fifteen years. In 1889, he moved to Clay county, Iowa, and bought one hundred and sixty acres of land, on which he lived for several years. He improved the property and sold it at a good profit, after which he retired to Davenport and is now living. His wife, Christina, was born in Germany in 1849 and to this union were born nine children: Frank, deceased; Katherine of Davenport, Iowa; George a farmer of Clay county; Jacob, a druggist of Davenport and a graduate of Highland Park College of Des Moines; Mrs. Paulina Soehren of Minnesota: Harry, a partner in the hardwood business with John W. Jepsen; Margaret of Davenport; Louisa, of Davenport, and John W. Jepsen. According to the notes from Laura’s sister, there were 10 children born to this family. The first child being Henry that must have died as an infant. It was while Benjamin was in England to show bran dusters from his flour & grist mill to the Queen (her representatives, of course) that he met his future wife, Frances Hannah Grammar or perhaps Grammer. Benjamin was 10 years older than his wife from England, they were married in 1857 in New York. Benjamin Grefs Unangst was born November 05, 1827, and died at the age of 78 on April 20, 1905. He married Frances Hannah Grammer. She was born March 15, 1837 in London, England, and died at the age of 73 November 18, 1910 in New York City. It is interesting to note that Benjamin moved to Iowa in 1887 and his wife died in New York in 1910. At the time of Frances’ death, she was living with her son Abraham Lincoln Unangst at 992, Trinity Avenue, New York. The census record was taken in April of 1910, Frances’ husband had died in 1905, so she is listed as widowed. She died later that year that the census was taken in November of 1910. Her son Abraham died 3 years later of a heart attack in New York. However, both Benjamin and his wife Frances are buried in the Lone Tree Cemetery in Everly, Clay County Iowa. He also owned several other farms in Clay & Dickenson Counties in Iowa. It appears that the two youngest children (both girls) died in Iowa and the other children died in Pennsylvania or New York. I suspect that since the older children ranged in age from 20-29 yoa when their parent(s) moved, their lives were already established in Pennsylvania and New York. In the 1870 census Benjamin Unangst, age 43 is a retired manufacturer, was living in the Third Ward of the Borough of Bethlehem in Northampton Co., PA, with his wife, Frances A. age 33, and five children; Benjamin age 11, Susan age 9, Abraham age 6, William age 2, and Mary age 4 months. Also living in their household was Michael Herwig, age 23 a farm laborer born in Prussia (probably a boarder). Benjamin owned real estate valued at $35,000 and had personal property of $5,000. Per Lou Kummerfeldt, Benjamin Unangst and a man named Reynolds owned a flour mill in Bethlehem, Pennsylvania. According to the Historical Sketch of Bethlehem in Pennsylvania, with some account of the Moravian Church by John Hill Martin, written in 1869, B.G. Unangst owned his mill in Bethlehem. "The first Tile and Brick Manufactory was established soon after the settlement of the town, in 1742, at a place about a mile north of Bethlehem, on the Manockasy Creek, on the farm now owned by B. G. Unangst, on the opposite side of the creek from his mill, and near the Indian town; it was then known as Queer's place. The first bricks used in Bethlehem were made at this place; afterwards tiles were made in the town at the house now occupied by D. Henry Bishop, at the corner of the Main Street aud the road leading to Allentown." However, notes from Laura’s sister indicate that the Nagels came from Schleswig-Holstein near Buckholz. Mrs. Margaret (Kuhl) Nagel brought up her three sons and two daughters near Buckholz. 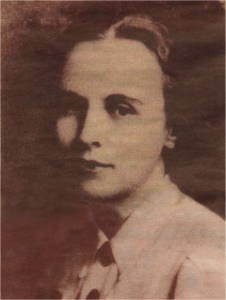 MARGARETHA KUHL, daughter of TIES KUHL and SDOBOKE FRANZEN. She was born February 10, 1784, and died 1853 in St. Louis, Missouri. The Nagels came from Buckholz, Schlswig-Holstein, which belonged to Denmark. Henry Nagel was a German Sea Captain and was drowned at sea leaving his wife Margaret with their five small children to raise. Margaret came to America with her son, John by way of New Orleans and died in St. Louis on their way up the Mississippi river to Davenport, Iowa. Henry & Margaret’s sons came to America, while her daughters married and stayed in Germany. Laura’s great grand-father Thies Nagel had but limited opportunities in his youth but learned well the lessons of industry and frugality. After attending the schools of the neighborhood to some extent he took up the trade of carpentering and cabinetmaking. When he was asked by an educated man why he was coming to America he answered that in a new country they would need houses and there would be chances for the builder. He therefore boxed up his tools and work bench and started for the new world in 1852 (33 years of age), accompanied by his wife and four children. After nine weeks spent upon the briny deep they landed at New Orleans and thence made their way up the Mississippi river by steamboat to St. Louis, where they arrived after a trip of eleven days. By that time there was so much ice in the river that they could not get a boat to Davenport, which was their destination. They, therefore, spent the winter in S. Louis and the following spring came to this city. After arriving in Davenport Mr. Nagel was first employed by Mr. Kingsley, an English carpenter boss. His shop was on the alley between Fifth and Sixth streets and Brady and Main. He not only worked at his trade but also began to learn the English language under the direction of his employer. He was very eager to master the language and to this end had studied all the way over from Germany. Among his fellow workers in that early day was George McClellan, who later became one of the most prominent men of Davenport. 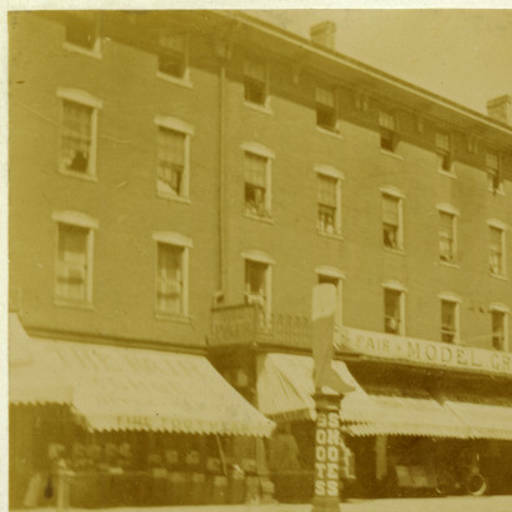 Mr. Nagel was in the employ of Mr. Kingsley for two years, his first labor being in connection with the construction of a building for Mr. Sergent at the head of Brady street. Mr. Sergent was the first banker of Davenport and Mr. Nagel made the doors and window frames of his house by hand, as there was no machinery for such purposes at that time. He afterward worked on the North Putnam building, which was known then as the LeClaire Row. For a time he was engaged on the construction of that row, which when completed was the finest in the town. He was also employed on the building of a residence for Antoine LeClaire, which later became the home of Bishop Cosgrove. About 1853 he also worked on the St. Joseph's Catholic church at the corner of Fourth and Main streets, this being the oldest Catholic church in Davenport, and it was the first building on that block, the entire block being given by Antoine LeClaire for the purpose for which it was used. Carpenters in those times received a wage of a dollar per day. Mr. Nagel's employer had three prices--a dollar, a dollar and a bit and a dollar and two bits-according to the efficiency of the workman and the importance of the class of work which he did. Mr. Nagel was recognized as a fine mechanic but, as he was a new man, was placed in the middle class, as his labor was somewhat hampered by the fact that he could not be sent out alone on a job, as he did not them sufficiently understand the English language. In 1857 the country became involved in a financial panic and work became very scarce. Mr. Nagel was then compelled to go to Rock Island, where he worked for a year and his services were paid for only in merchandise. Times improving, however, he returned to Davenport and obtained employment in the furniture factory of Collins & Skeel, there continuing until the time of the war, when he turned his attention to bee culture and has since devoted his energies largely to the management of an apiary. During the war he purchased a small tract of land in the suburbs of Davenport, erected thereon a comfortable residence and lived there until 1893, when he went to live with his son, Jens Jacob, at his present home at No. 906 West Locust street. Mr. Thies Nagel was married in 1843 to Ingeborg Jensen, who died in 1857, leaving four children: Margaret, the wife of Hartwig Wessel, of California; Jens Jacob; Christina, the wife of Hans Jepsen of Davenport; and Catharine, the wife of Ferdinand Junge, of Nebraska. Sidenote: Peter Jensen was the son of Jens Jensen and Ingeburg Jakobsen Jensen. His parents died young and he was put in an Orphan's Home. Peter learned the trade of locksmith and traveled through Germany as an apprentice. He settled at Lubeck. Peter Jensen was a brother of Ingeburg Jensen who married Thies Nagel. Ingeburg and Thies Nagel were the parents of Christina Nagel Jepsen (mother of John William Jepsen.) So Peter Jensen and Christina Nagel Jepsen were cousins. Of this family Jens Jacob Nagel (Laura Jepsen’s great-Uncle) was born in Germany, June 26, 1846, and was brought to America by his parents when six years old (abt 1852, see above). The first school Jens Jacob Nagel attended was at the corner of Fifth and Scott streets in Davenport and he passed through consecutive grades until he was graduated from the high school and also from the training school. Following his graduation he became a teacher in the country school in Liberty township, eighteen miles from Davenport there remaining for a year. This was during the period of the Civil war. He afterward returned to Davenport and entered the training school. Subsequently he spent two years as general delivery clerk under Edward Russell in the Davenport post office and then resumed teaching, since which time he has devoted his attention to the to the profession. He taught in Davenport until 1866 and then went to Minneapolis, where he became principal of a school, so continuing until 1869, when he returned to this city and was continuously numbered among its public-school instructors until 1909. Jens Jacob taught in the Madison school for thirty-nine years and at present is connected with Duncan's Business College. He is one of the best known representatives of educational interests in this part of the state and his labors have been a most forceful and beneficial factor in promoting the interests of public education.